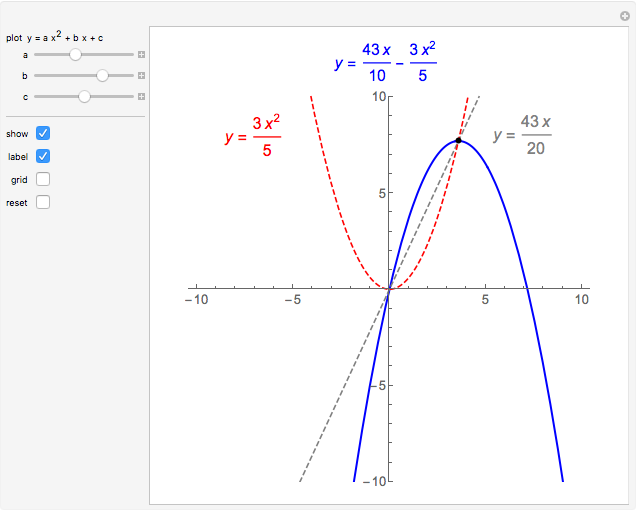 The purpose of this visualization is to help students understand the relationship between the location of the vertex of the parabolic curve described by and the values of the coefficients , , . 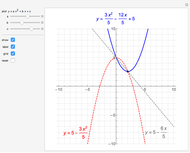 It is understood the vertex of a parabolic curve described by the quadratic function is located where and hence, . 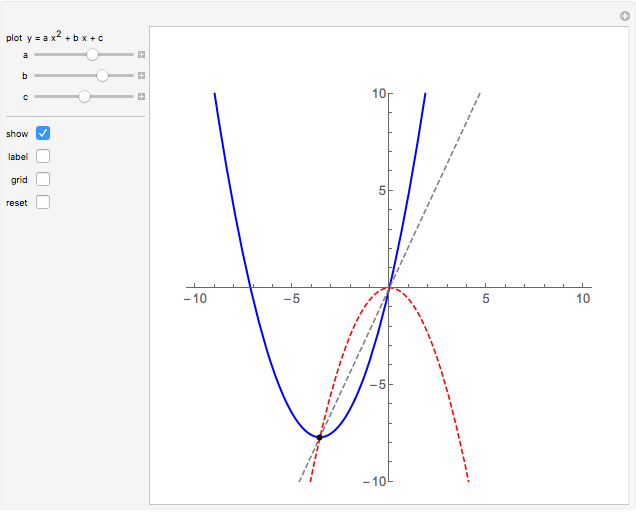 It is insightful to view the location of the vertex as being the intersection point of the line and the parabola to better understand how the coefficients , , affect the location of the vertex. 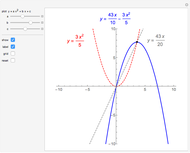 If the linear coefficient and the constant coefficient remains fixed while the quadratic coefficient varies, then you can observe the vertex of the parabola sliding along the line as the parabola changes. 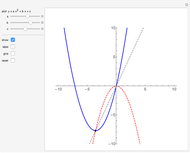 If the quadratic coefficient and the constant coefficient remains fixed while the linear coefficient varies, then you can observe the vertex of the parabola sliding along the parabola as the line changes. 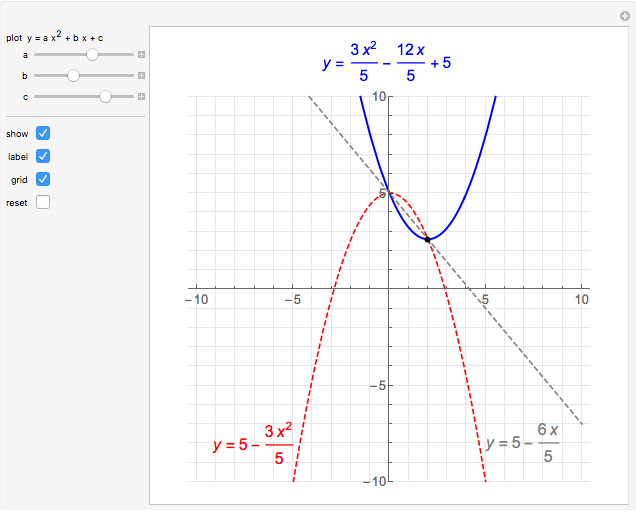 Eric Schulz "How Does the Vertex Location of a Parabola Change?"